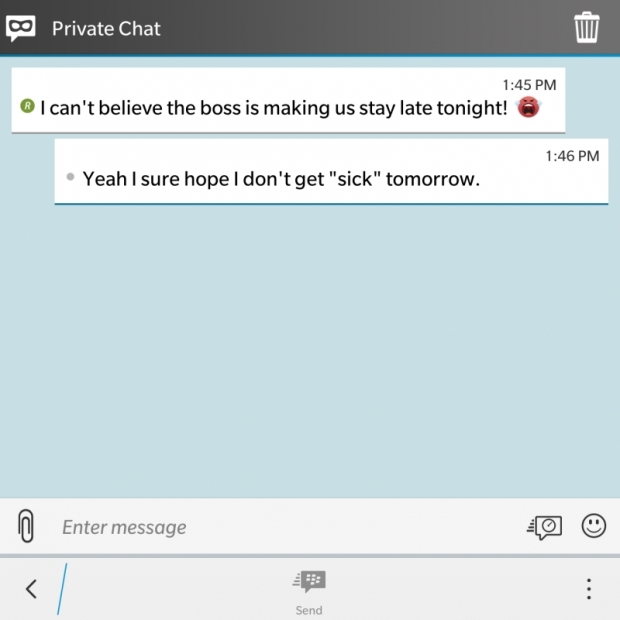 BlackBerry offers $1 private chat subscription for BBM | BlackBerry Blast! BlackBerry is offering a new way to keep your BBM messages private. The company is offering a $1 Privacy and Control Subscription that allows your messages to strip personal information and disappear a la CyberDust. The new private chat feature is available on iOS and Android versions of BlackBerry Messenger. The Android app gets a material design change, and iOS now follows user's font preferences. Very nice BlackBerry!